The way they capture the idea of the falling man as “the unknown soldier in a war whose end we have not yet seen”, is exceptionally powerful. 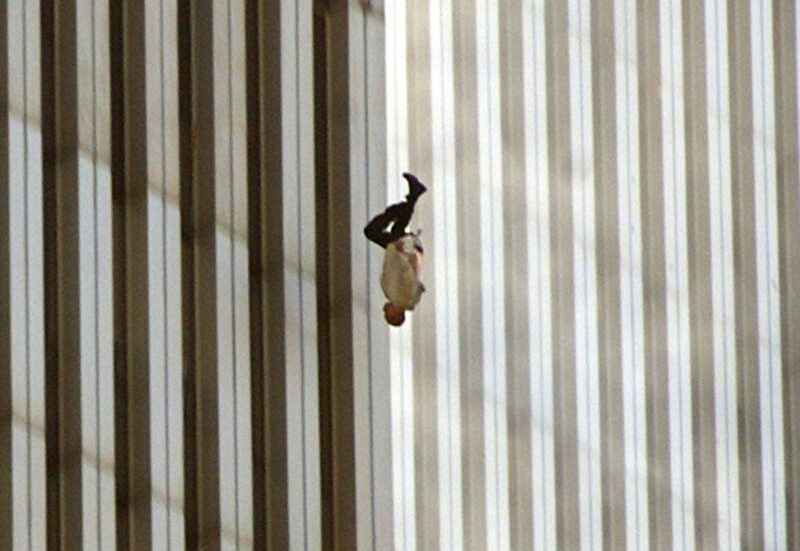 “…..the only certainty we have is the certainty we had at the start: At fifteen seconds after 9:41 a.m., on September 11, 2001, a photographer named Richard Drew took a picture of a man falling through the sky—falling through time as well as through space. The picture went all around the world, and then disappeared, as if we willed it away. One of the most famous photographs in human history became an unmarked grave, and the man buried inside its frame—the Falling Man—became the Unknown Soldier in a war whose end we have not yet seen. Richard Drew’s photograph is all we know of him, and yet all we know of him becomes a measure of what we know of ourselves. The picture is his cenotaph, and like the monuments dedicated to the memory of unknown soldiers everywhere, it asks that we look at it, and make one simple acknowledgment.